This is an integrated modular underwater sonar-mapping package designed for installation on a Remotely Operated Vehicle (ROV). 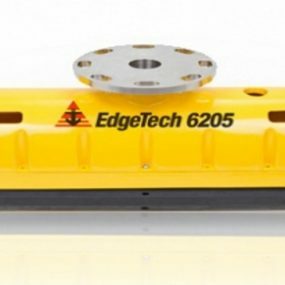 It gathers side scan and/or sub-bottom data using EdgeTech’s proprietary full spectrum chirp technology in water depths of up to 3000 meters. Data from the sensors are pre-processed in the system s underwater electronics and are transmitted to the surface on EdgeTech s StarMux digital link. A modular system is provided as a complete package including sensors and pressure vessel. 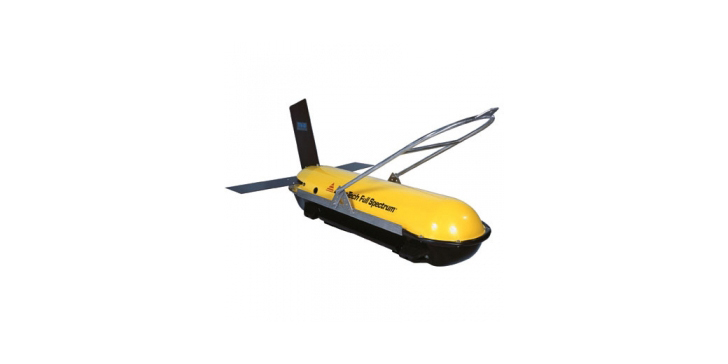 Alternatively, it can be integrated into the ROV systems. For example, the ROV can provide power and a 2-way digital link to the surface. It can also provide a pressure housing for the underwater electronics. Heave, pitch, roll, yaw, bearing, temperature and pressure are additional optional sensors. 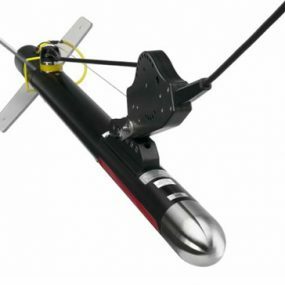 In addition to the full spectrum sensors, the user may also gather additional data with a series of optional Plug n Tow systems. Both EdgeTech and the product manufacturer have tested these products with the sonar system. 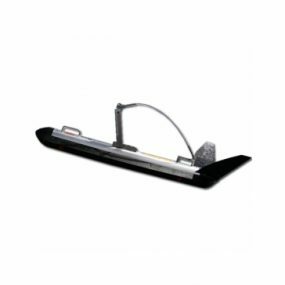 Side Scan Sonar Option: The Full Spectrum Chirp side scan sonar is a calibrated wide band digital FM sonar that provides quantitative and qualitative, high resolution, low-noise side scan imagery. It simultaneously transmits linearly swept FM pulses centred at 2 discrete frequencies. A number of centre frequency options are available. A Digital Signal Processor (DSP) in the Full Spectrum’! (FS-DW) electronics on the tow vehicle holds the two waveforms to be transmitted. At periodic intervals, the waveforms are sent to a Digital to Analogue Converter (DAC) that generates an analogue pilot signal. These Frequency Modulated signals are then amplified and transmitted by a set of wide band transducers. The sampled acoustic return is sent to a Digital Signal Processor (DSP) for match filter processing. To achieve the theoretical temporal resolution that is predicted by the inverse of the bandwidth, the chirp pulse is compressed using a matched filter that correlates the chirp return signal with a replica of the outgoing pulse. The correlation process is carried out with a discrete Fourier transform that is calculated in real time using the DSP. The compressed pulse resulting from this signal processing procedure has a time duration approximately equal to the inverse of the bandwidth of the chirp pulse. This correlation processing achieves a signal processing gain over the background noise of approximately ten times the log of the time-bandwidth product. To equal the performance of chirp side scan pulses, a conventional side scan would have to be operated at a peak pulse power up to 100 times larger than the chirp pulse. An important feature of Full Spectrum’! side scan is the reduction of side lobes in the effective transducer aperture. The wide band and linearity of the FM sweep smears the side lobes of the transducer and thus achieves a beam pattern with virtually no side lobes. SUB BOTTOM PROFILER OPTION The sub-bottom profiler provides sensor packages that chirp in the ranges of 4 – 24 kHz, 2 – 16 kHz and 500 Hz 12 kHz. The transmitter is attached to the front of the tow vehicle. 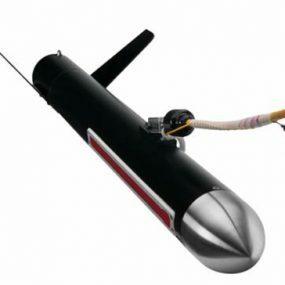 Separate hydrophones are mounted on the underside of the vehicle to provide a narrow acoustic beam width. The transmitters and receivers are custom designed and built to operate over a large contiguous bandwidth. The output of the matched filter processing in the underwater electronics is transmitted to the surface on the StarMux digital link (or stored locally in the AUV mode). Data is recorded digitally in industry standard SEG-Y format by the topside processor. EdgeTech records the correlated data with phase information intact. Since non-linear operations are not done on the correlated data, one can easily derive the raw data from the stored correlated data. Storage in this form allows the user the option to exercise the post-processing feature on any properly equipped computer without the unnecessary and time-consuming requirement to pass the data through a matched filter again. STARMUX DIGITAL TELEMETRY LINK The STARMUX telemetry link allows the user to operate the system using a single coax conductor. Power to the underwater electronics, command & control, and sonar data share the same coaxial wire. The type of conductor determines the length of cable that can be expected to work. The length affects the expected bit rate. Cables to 10,000 meters long can be expected to work with the link. The STARMUX link is dynamically adaptive to cable characteristics. Bandwidths from 300 kilobits/sec. to 6 megabits/sec. can be expected. PLUG ‘N TOW’! SENSORS In addition to the FULL SPECTRUM’! sensors, the user can also gather additional data with a series of optional Plug n Tow’! systems. Both EdgeTech and the product manufacturer have tested our products together. An example is a magnetometer. Both manufacturers certify that the two systems will work together without needing to contact the manufacturers.